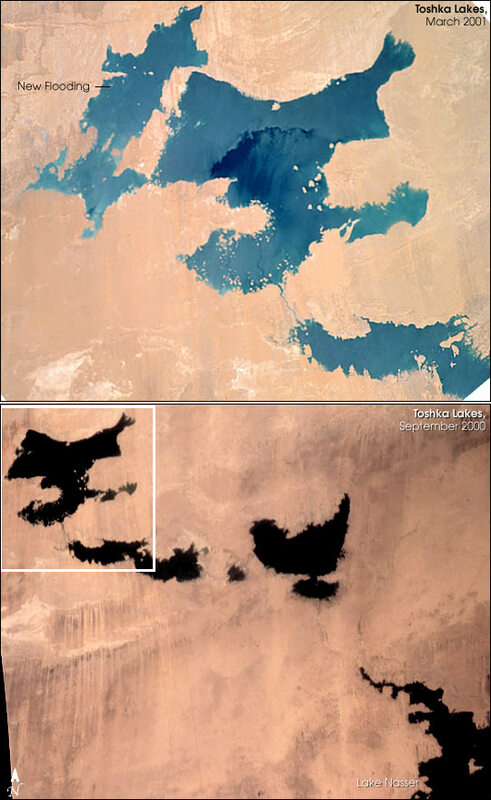 As the Space Shuttle Atlantis passed over southern Egypt in mid-March 2001, the STS-102 astronauts were able to document new flooding in the Toshka region west of Lake Nasser. The formation of the Toshka Lakes in southern Egypt is part of Egypt's New Valley Project. The flooding of the region has been monitored by astronauts since 1998, and continues to show rapid changes. An animation in a previous posting on the Earth Observatory links together several photographs of the region taken by astronauts to show the sequence of flooding in the Toshka depression. 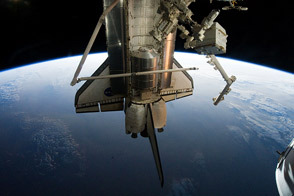 The last image of that sequence was acquired in September, 2000 (Image number STS106-706-82), and is included here for reference. Since September, flooding has occurred over a large area at the western end of the Toshka lakes. The region will be the location of large Egyptian agricultural developments that will support millions of people. 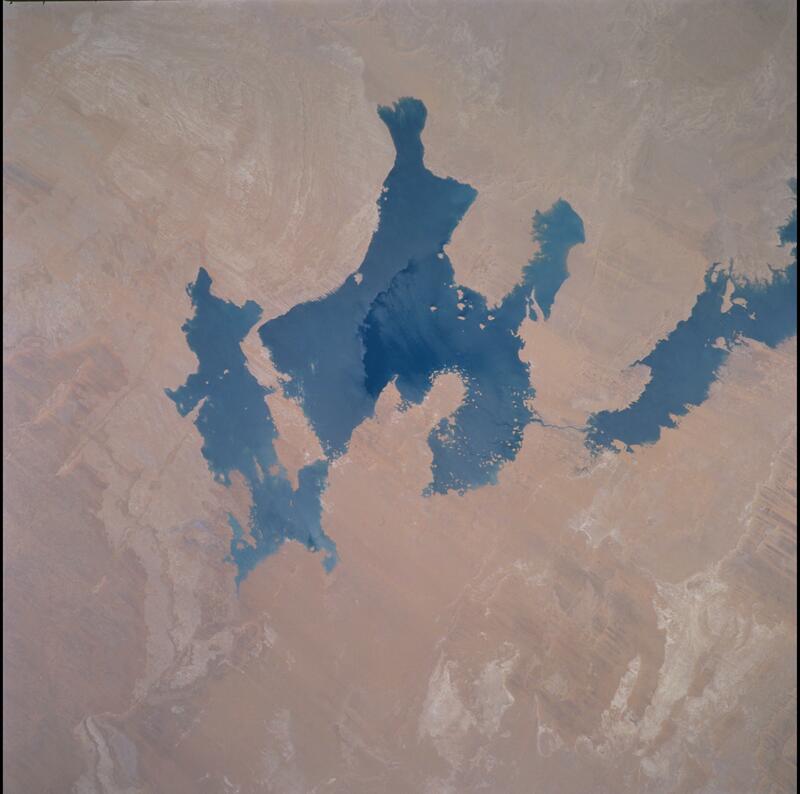 As the Space Shuttle Atlantis passed over southern Egypt in mid-March 2001, the STS-102 astronauts were able to document new flooding in the Toshka region west of Lake Nasser. The formation of the Toshka Lakes in southern Egypt is part of Egypt’s New Valley Project. The flooding of the region has been monitored by astronauts since 1998, and continues to show rapid changes.